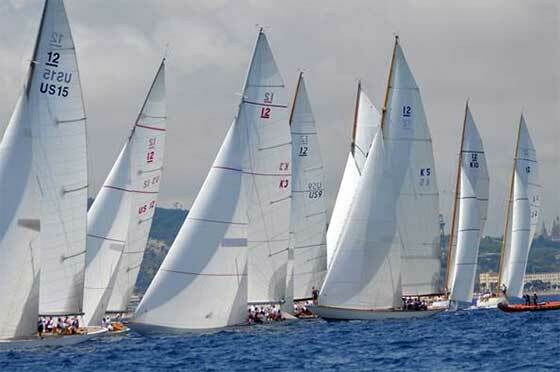 Malta Maritime Directory :: 109 Years, 195 Yachts, Nine America's Cup Races, Three Olympics and One Formula - Is Fourth Rule on The Horizon? Comment about: 109 Years, 195 Yachts, Nine America's Cup Races, Three Olympics and One Formula - Is Fourth Rule on The Horizon? 109 Years, 195 Yachts, Nine America's Cup Races, Three Olympics and One Formula - Is Fourth Rule on The Horizon? Many sports have one event, class, or athlete that transcends the sport itself to capture mainstream attention. In the sport of sailing that kind of familiarity is most associated with the 12 Metres - the iconic boat of choice for the America's Cup races from 1958 through 1987. The aura of mystique that envelops these classic yachts has created a vibrant class association with large and competitive fleets on the Baltic and Mediterranean Seas, as well as on the USA's northeast coast, especially in Newport, Rhode Island, which was home to the America's Cup for 12 editions (nine sailed in the Twelves) between 1930 and 1987. "The visual impact made by the sight of these graceful and elegant yachts, in tandem with their heritage and the personalities associated with their racing history makes a compelling case for imitation," said Dyer Jones, President of the International Twelve Metre Association. "We are excited about the possibilities for the recently announced San Francisco Yacht Racing Challenge and look forward to working with the organizers to see if their concept will work for the class. Imitation is a sincere form of flattery." Jones explained that the focus on a boat and an event that are both in the conceptual stage is succeeding primarily due to the fact that the organizers are benefitting from the cachet surrounding the existing 12 Metres. "The possibility of a new Twelve Metre Class Rule (three rules currently exist) is one the class association is open to. However, any addition must be in conformance with the class formula, as well as the spirit and intent of the existing rules, in order for the new design to carry the distinction of being called a 12 Metre." 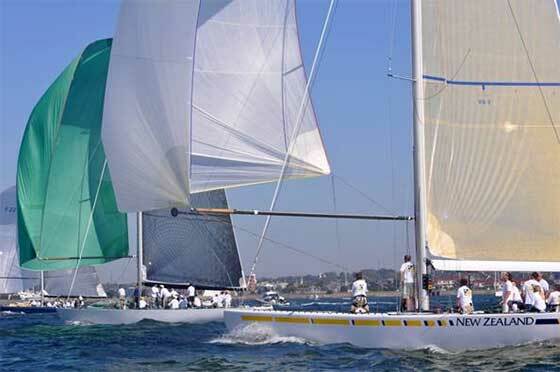 Over the 109 years the class has been in existence, not only has the rule -- which primarily governs materials, design, construction and equipment -- been revised three times to embrace new technology but also the class has become an international class under the governance of the International Sailing Federation. The ISAF designation conveys specific requirements for the building of new yachts to the class rule, as well as the right to hold a world championship. While the fledgling event finds its footings, 12 Metre fans will have numerous opportunities during 2015 to see these racing machines in action at numerous events from Copenhagen, DEN, to St. Tropez, FRA, and throughout New England, including Newport and Martha's Vineyard. Season highlights will include 14 Vintage 12s (dating from as early as 1909), racing at the European Open Championship for the Robbe & Berking Sterling Cup in Glucksburg, GER, in July, and the 2015 12 Metre North American Championship sailed in Newport this September.